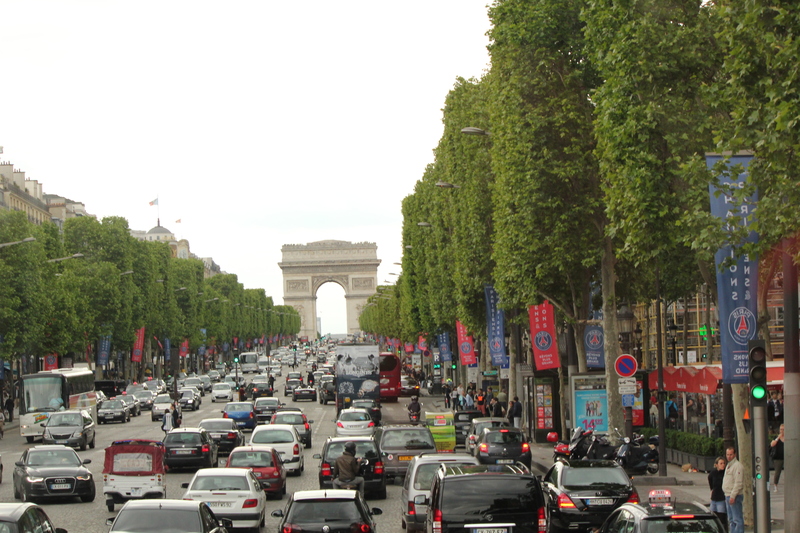 My plan was to get up early and head to the Louvre. I knew lines would get long, but it would be free. But, I have to say my bed in the Hotel du Champs de Mars was just too comfortable. 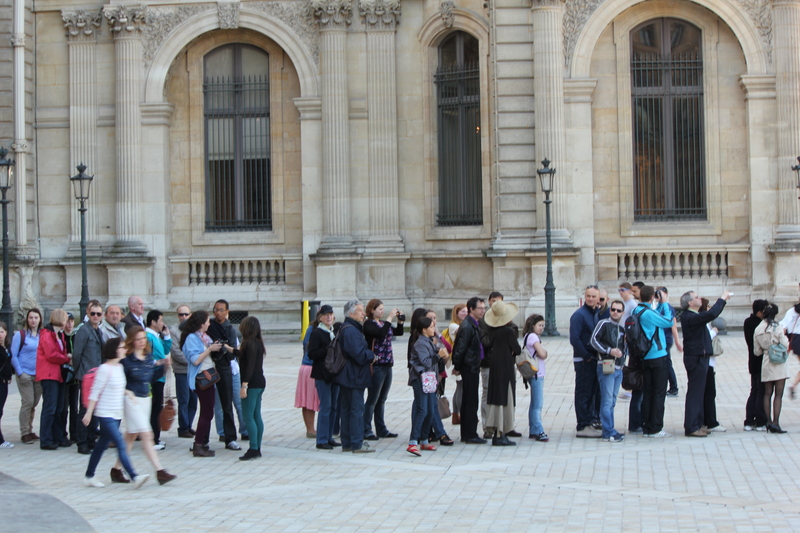 I woke up late, then wanted breakfast and coffee, so when I got to the Louvre, the lines were insane! 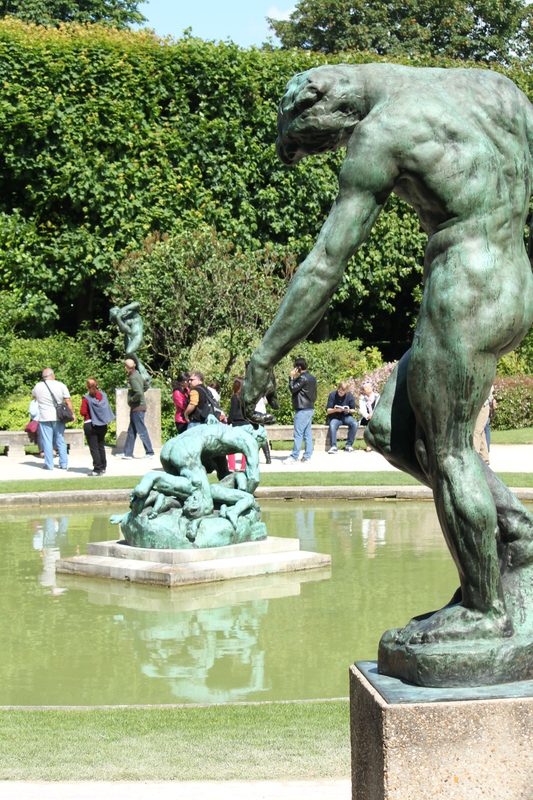 So, I had to come up with plan B. I headed back to the area around Invalides to find the Rodin Museum. 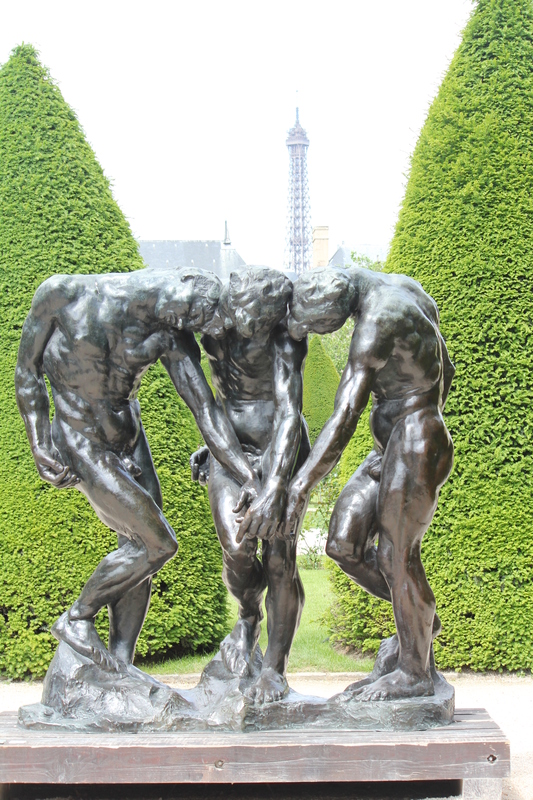 (Some may ask why I didn’t head to the Orsay – but I’d been there and thought I should see something new – even though I love the Orsay!) 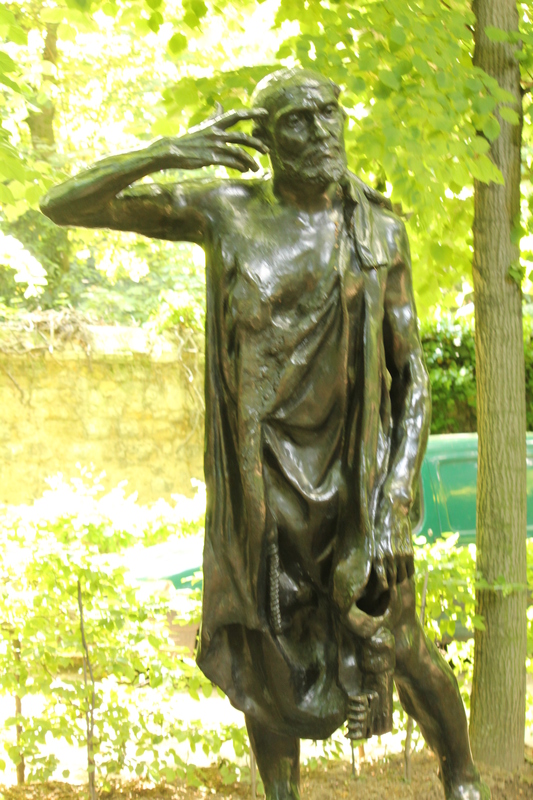 Also, I love Rodin’s work. 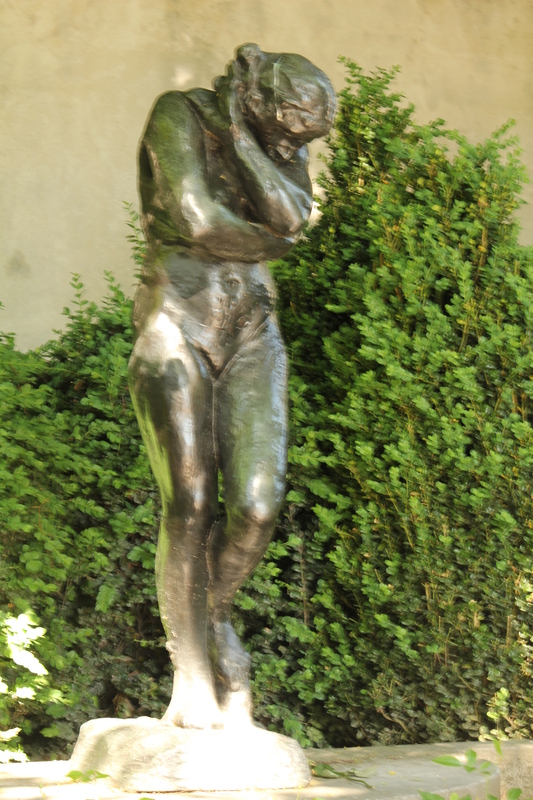 When I lived near Stanford University, I used to spend time walking through the Rodin Sculpture Garden. 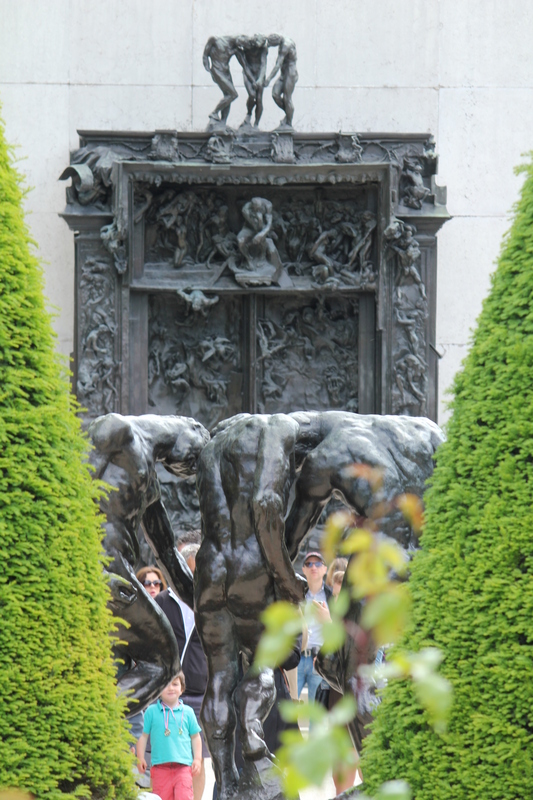 So, that is how I found myself at the Musée Rodin. 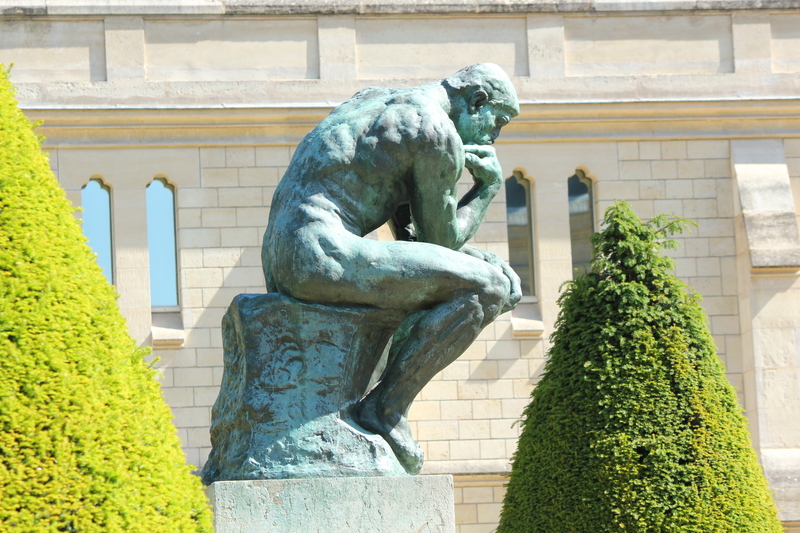 The first building in the complex housed a number of statues in marble – along with “draft” versions of the statues. It was really cool to see how the piece went from a concept to a large sculpture. 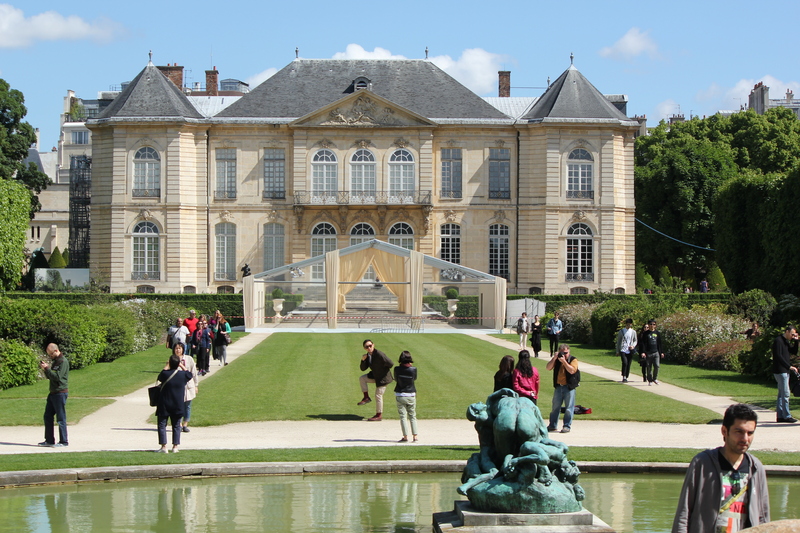 This building opened up into a large garden that surrounded the main building where Rodin lived for a while with other creative people, including Isadora Duncan. The gardens were so peaceful and beautiful. 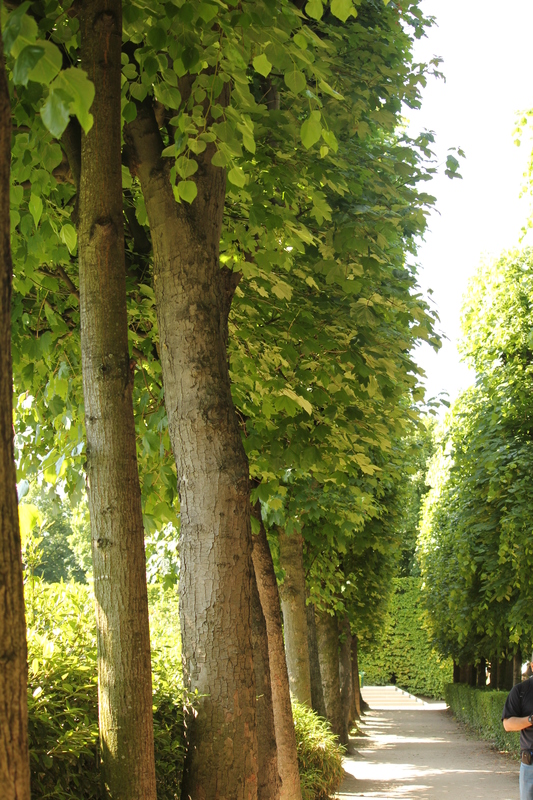 I enjoyed strolling through them to see what delights awaited. 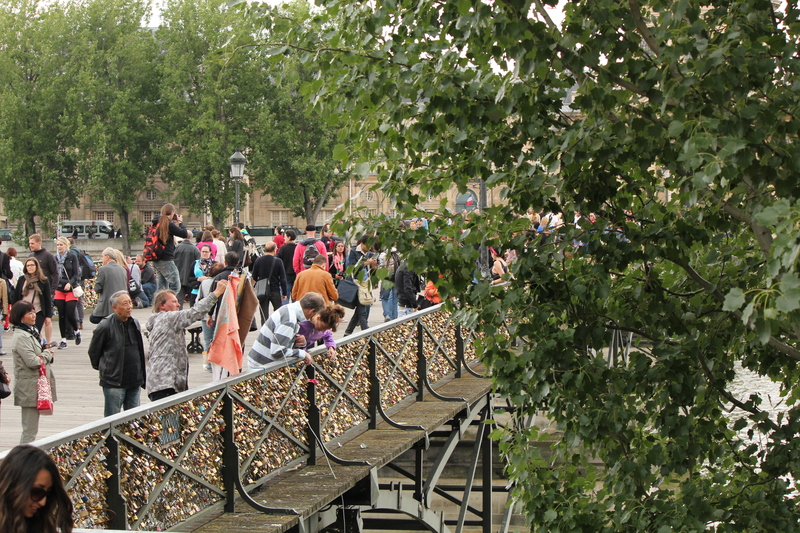 It was a perfect way to spend the morning in Paris. 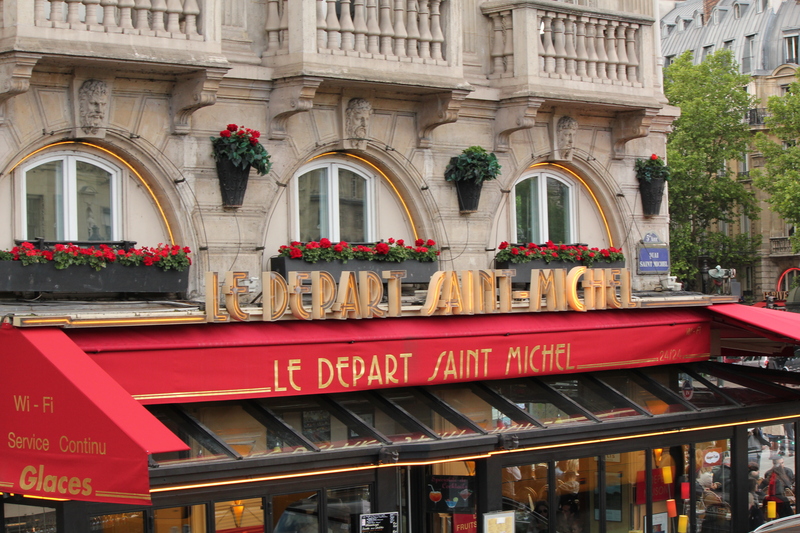 I decided my next stop would be the Latin Quarter – specifically the Fountain of St. Michael which was my favorite site from my last trip to Paris. 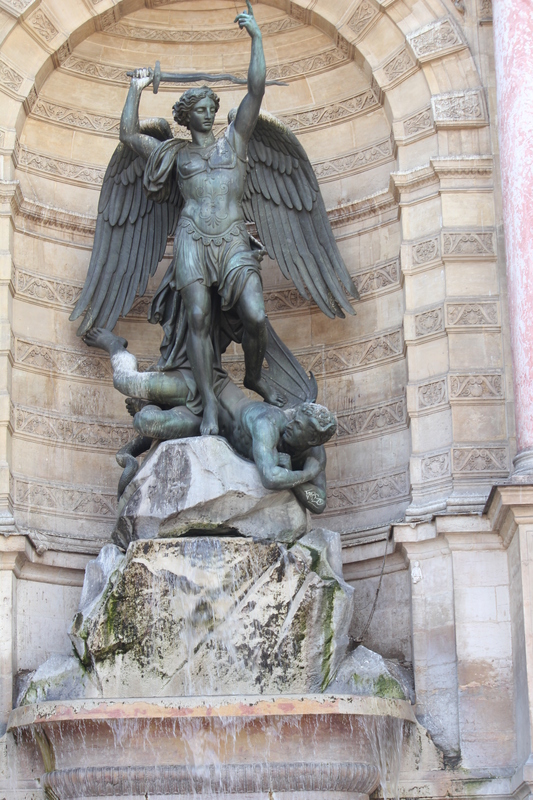 Next to this statue is a nice little café that gives great views of people travelling across the Seine. It being lunch time, I stopped for a bit to eat and just relax. 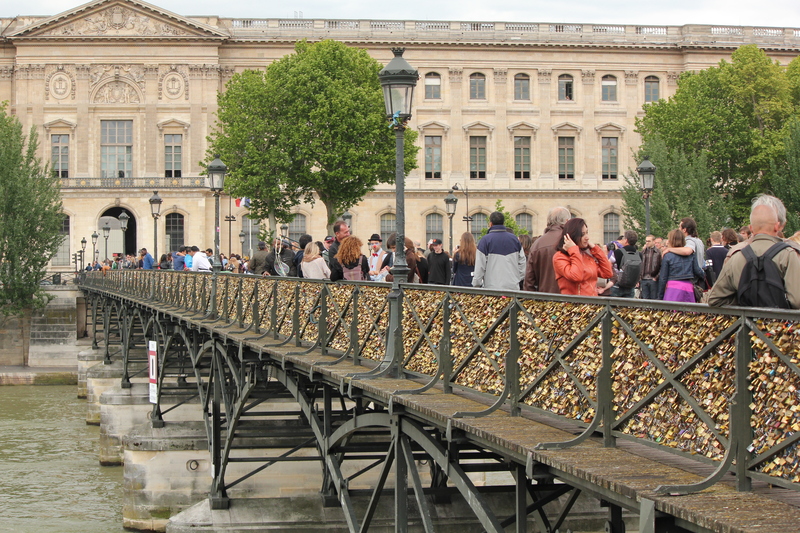 Next, I headed across the bridge to Ille de la Cité and one of my favourite places: Ste. 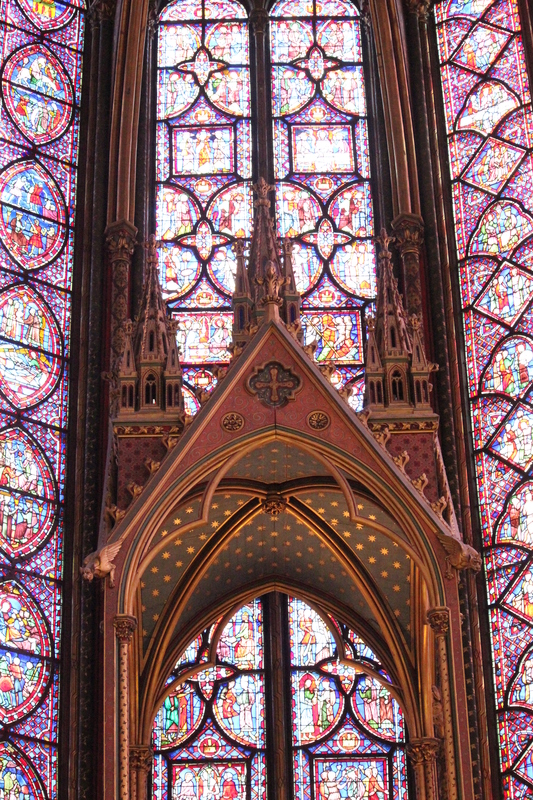 Chapelle. 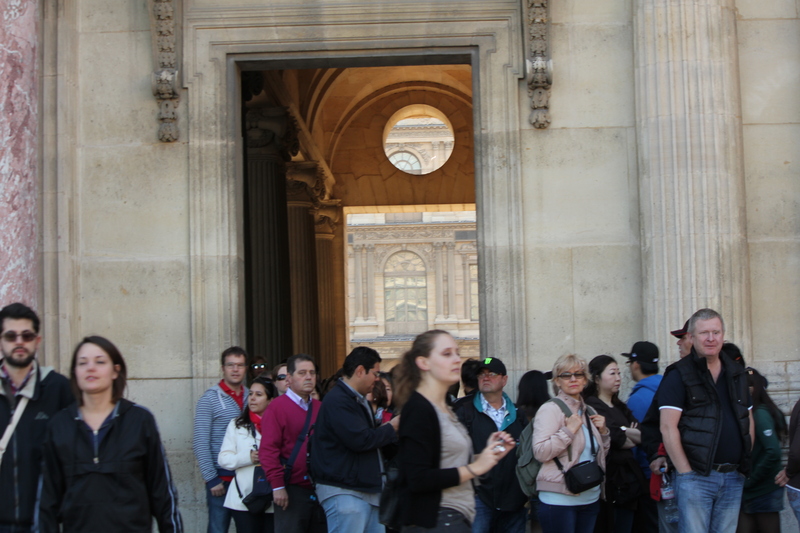 The line to get in was very short and soon I was climbing the narrow staircase to the main chapel. 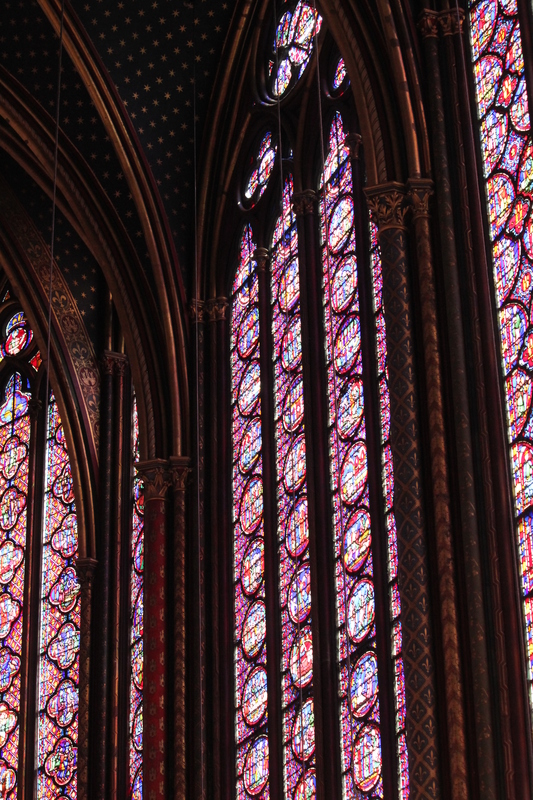 The light was perfect with the sun shining through the massive stained-glass windows. I always feel a sense of awe when I stand in this chapel. Next, I just decided to see what else I could find on the island. 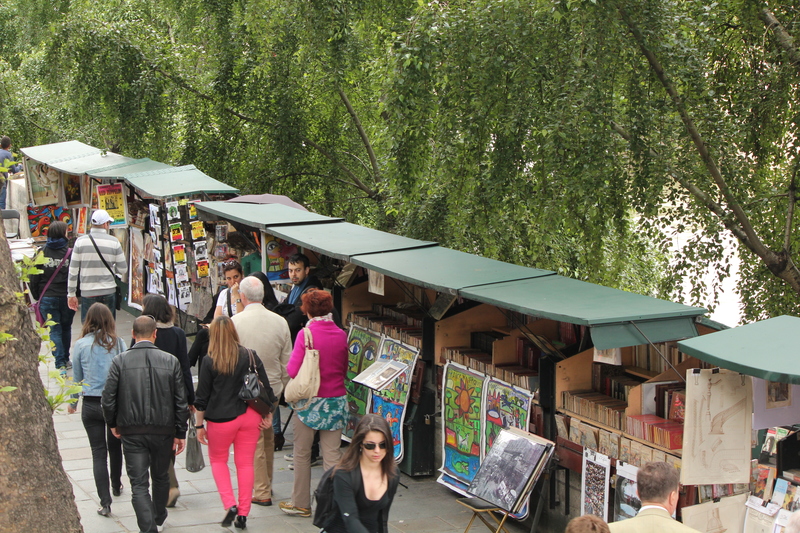 I headed along the Conciergerie to Place Dauphine to Place du Pont Neuf. 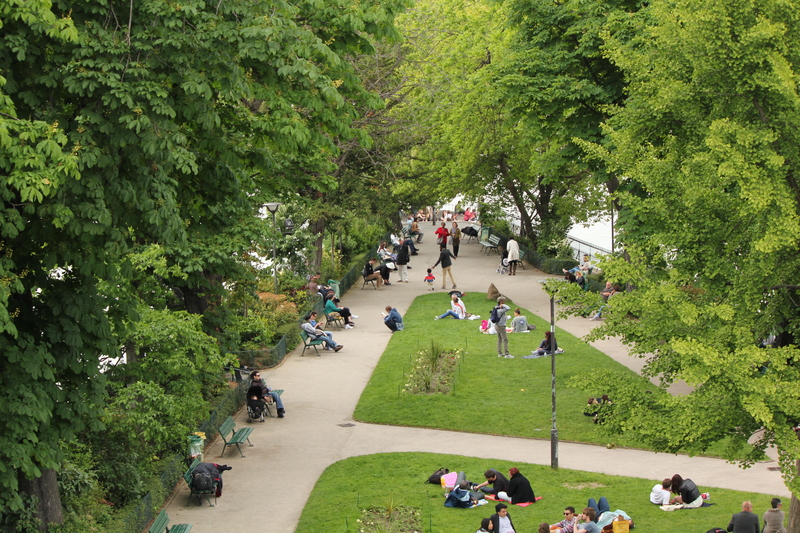 I continued to walk along the Seine until finally I decided I needed a break and hopped on a bus to see more parts of Paris.